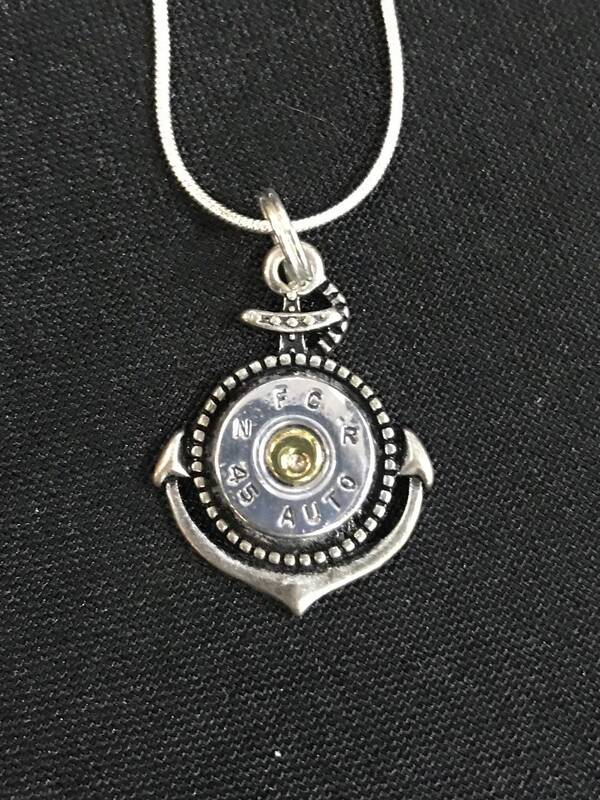 45 caliber bullet set in anchor design. 18” silver plated necklace. **Coordinating earrings are in a separate listing.